Now, we at the CCPS aren't the most "with it" or "on top of things" (as you can tell by the lack of posts from the past few weeks, as well as by Gene's choices in clothing), so maybe you can excuse us for having completely slept on the cassette series that local wunderkind Chad VanGaalen put out, uh, three years ago. 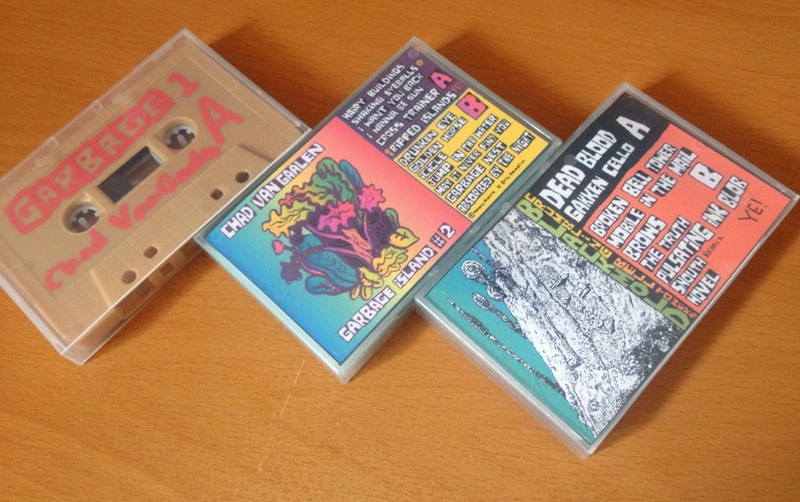 We're pretty sure that every blog and music zine has already written about this ad nauseum, but for the official CCPS record, we'll quickly restate that this was a series of eight tapes of home recordings that VanGaalen put out as a charity thang. Amazingly, there are still a few in the Flemish Eye webstore, so we snagged some. We're also going to buy Gene a pair of skinny jeans and a new haircut, to further catch up.